Telegram introduced their Bot API a few months ago, and I started playing around with it. The result of my messing around was a very non-creative but funny baby: StrangerBot. StrangerBot – Chatroulette for Telegram. After one or two hours of hacking, I set this bot free to roam the world with the other Telegram bots. These ‘other’ bots were non-existant because it was about 24 hours after Telegram released their API. I put a message on Reddit, telling people about my bot, and I hoped that a few lost souls would try it for a few seconds. Continuously F5’ing my database I saw some people jumping on and leaving the chat again. Just a few, not more than ten. Satisfied I closed the lid of my laptop, packed my bag and went to my dad’s place for some dinner. Three hours later I returned from dinner, I checked the amount of users who had tried StrangerBot, and the number was already near 2.000. I was amazed. Immediately I checked the server that was hosting StrangerBot and was relieved to see that (thanks to Go ❤️) everything was perfectly fine. Smallest Digital Ocean instance, all it did was idling. Yup, it was a pretty cool and awesome feeling! Within 24 hours around 10.000 users had tried StrangerBot. It’s more than 60.000 users now, and millions of messages have been sent using StrangerBot. It was a small, but extremely fun and exciting adventure :-). Check it out: StrangerBot on Github. Get Machiel Mail in your inbox! Of course I have a newsletter, all the cool kids have them! Sign up if you want to get notified of the occasional blog post I write. They will be mostly about Go, or simply about projects I am working on. And it might just turn out that they are interesting! And if you're wondering, will he send sp... No, I will never send you any spam! 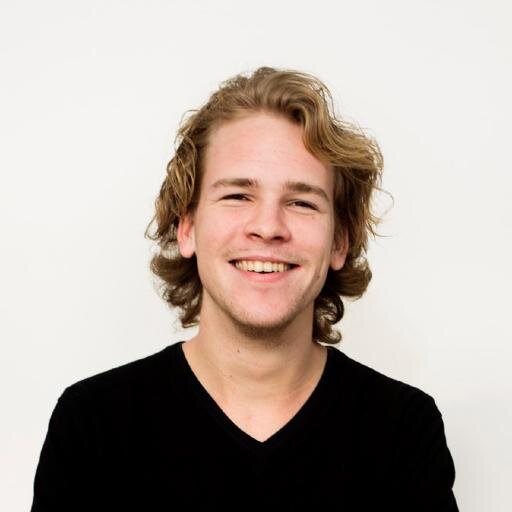 Machiel Freelance developer from Amsterdam, passionate about Go.